Scrolling through Instagram you could be forgiven for thinking that half of the world has relocated to Europe to enjoy la dolce vita for the summer. 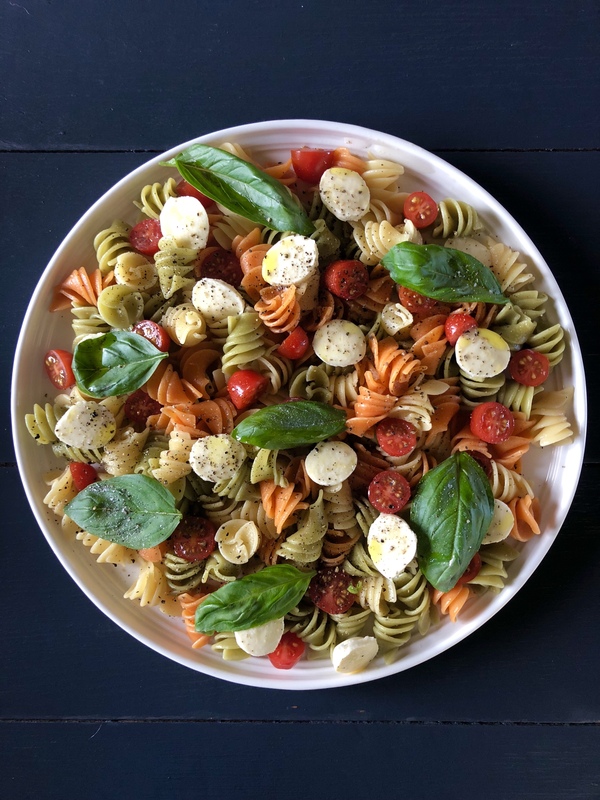 For those who can’t make it to Italy to soak up the sunshine and delicious food we have created this simple Italian inspired pasta dish that is perfect to share and is made from the freshest ingredients, perfect for a weekend lunch with friends or an easy weeknight dinner. To make, bring a large pan of salted water to the boil. Add pasta and cook until al dente. In the meantime lightly fry garlic in olive oil on low for about 1 minute, set aside. Once pasta is cooked, drain and toss through garlic, olive oil, and tomatoes. Season with salt and pepper and serve on a large plate, topped with bocconcini and basil leaves. Enjoy! Looks yummy and easy, but what is bocconcini? I have never heard of that – is it some kind of cheese? Oh snap, there’s another or real name for this delicious salad? I have been making it sans cherry bocconcinis for decades, using chunks of mozz. I chiffonade my basil. I love the presentation of yours. Very nice. That looks amazing! I am going to try that. Thanks! It’s really simple too – I hope you enjoy it! This looks so delicious. I think I’ll put it on the menu for this weekend!